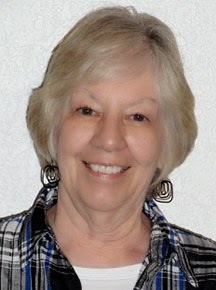 When she isn’t obsessively revising a story or essay, Kay Butzin spends her time solving crossword puzzles, playing bridge, and critiquing work for fellow members of the writers group in Rockport, TX. She also recently completed a Flash Nonfiction class online and contributed four feature articles to the fall issue of her alumni newsletter. She received an Honorable Mention in the WOW Winter 2012 contest, and her 250-word story, "Bank Job," was a runner-up in the Summer 2013 competition. Contact her at kaybutzin[at]sbcglobal[dot]net. WOW: Congratulations on placing in the top ten in our Fall 2014 Flash Fiction competition! What inspired you to enter the contest? Kay: Thank you, Marcia. Actually, this was the second time I entered “Passage” in a WOW contest. The first time was last summer. Going through files in search of something to submit I found a 1000-word version of this story, which had won third place in a regional contest seven years earlier. I could see that cutting it to fit within WOW’s word limit would take nothing from it and, in fact, would make it stronger. That version didn’t win a prize; but based on an encouraging and constructive critique, I revised the story once again and turned it around in time for the Fall 2014 deadline. WOW: Your persistence paid off! Can you tell us what encouraged the idea behind your story, Passage? Kay: All the main events happened, just not to one woman. The narrator and Tom are composites. Even the cemetery is a composite. WOW: You’ve placed in our flash fiction contests several times. What have you learned that works for you, since been through the process a few times now? Kay: Again, I credit the critiques. “Bank Job,” my runner up in the Summer 2013 contest, was also a story I revised for resubmission, based on judge’s suggestions from an earlier WOW competition. Kay: I write every morning, even if only email messages or morning pages. To keep myself inspired and motivated I took an online class in flash nonfiction last fall. In April, I participated in a poem-a-day challenge for National Poetry Month. Writing prompts are my favorite tool for getting raw ideas onto the page. All my stories, fiction and nonfiction, are conceived by hand with a gel pen and a spiral notebook. Once I’ve captured the essence in a timed writing, I transcribe it into a Word document and begin my obsessive re-visioning process. WOW: I love that you use a variety of strategies, such as online classes, challenges, and prompts for motivation. Thanks so much for chatting with us today, Kay. Before you go, can you share your favorite writing tip or advice with our readers? "You don’t have to see the whole staircase. Just take the first step." Thank you. I'm still basking in my fifteen minutes. Finding a Muse While You Snooze?